Santa Sativa from Dinafem are cannabis seeds that belong to one of the favorites of the Haze lovers. When this plant flourishes, she sends off a delicious smell. 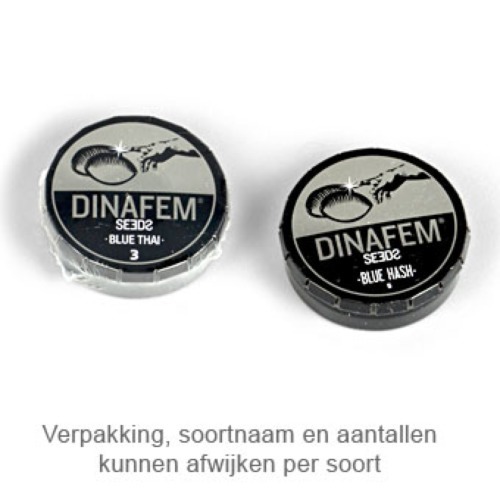 Dinafem Santa Sativa are cannabis seeds that are appropriate for an indoor grow and outdoor grow. She is recommended for the SCROG set up. This plant can become a large cannabis plant when you grow her in the full ground. Growing cannabis from these feminised cannabis seeds provide you a weed from very good quality. The effect of smoking this cannabis is a strong but pleasant physical stoned feeling with a mental high. Tell us and our customers what you think of the Santa Sativa from Dinafem.